Grab all the easily printable Podcasts Transcripts 20 and up with a donation of your choice. Reminder, you can still get them free on each Podcast episode page. 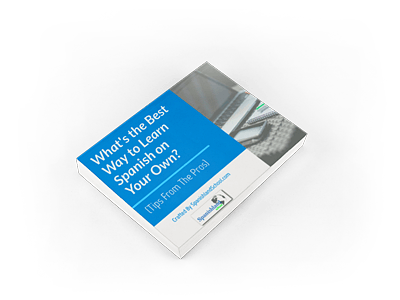 Want to make sure you are learning Spanish the right way? We asked 10 Spanish Language Experts and Teachers one important question, "What's The Best Way to Learn Spanish on Your Own?" Interested in taking your Spanish to the next level? We created a fun 7-Week online Spanish course for those looking for a more individualized, structured experience. Enter the wait list for early access at a discounted price to the next semester Spanish Intensive. Nate and Andrea Alger first created the Españolistos Podcast in the fall of 2016. Andrea is a Spanish teacher from Colombia and leads the Podcast. Nate is the ever improving student and fellow gringo from Austin, Texas (USA). They discuss controversial topics, cultural events, and from time to time interview Spanish speakers. I love ESPANOLISTOS - Andrea and Nate speak clearly and at a moderate speed - so I am able to understand, and hear every syllable. Their podcasts cover a wide variety of interesting topics about family, education, history, current events, and much more - making learning Spanish fun. I really enjoy listening to this podcast and it has really helped to shape my Spanish listening skills! Enter Your Name & Email to Get the 14-Page E-Book PDF "Best Way to Learn Spanish On Your Own." SEND ME THE SPANISH E-BOOK! We hate spam! You're privacy is protected.